How to choose a walking aid. 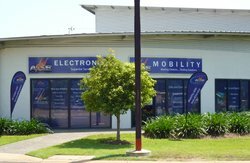 Choosing the right walking aid for you or your loved one can be confusing because of the many products available. 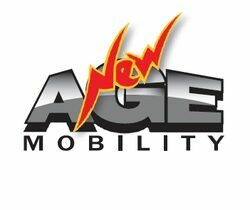 Below are some tips to make choosing a walking aid easier. 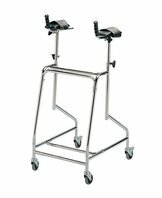 Rollators are Walkers with wheels and a seat. Lets just call them Walkers. 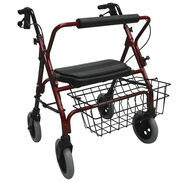 They offer the greatest range of movement and the most mobility with many models offering swivel wheels and hand brakes. 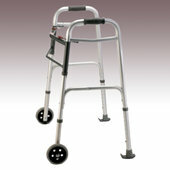 Walkers with larger wheels offer the most mobility. 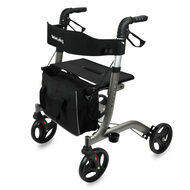 Walkers are equipped with seats and often baskets, making them the perfect choice for those who are on the go. Ask any occupational therapist and they will tell you the importance of posture and correct movement. Especially as we age. 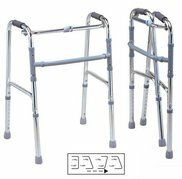 Continuous innovations by wheeled walker and Walker manufacturers have included easy to adjust handle heights, tighter turning circles and cross bar frames. These innovations have made it easier to walk in an upright position - your natural stance. 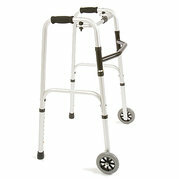 A good mobility walker will assist with good walking posture. A steerable knee walker is commonly used in the substitution of crutches because crutches can promote further injury and are not comfortable for some people. 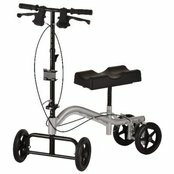 People who have foot, ankle or lower leg injuries are the ones who most commonly use a knee walker. 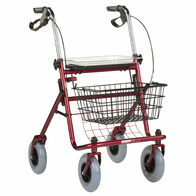 This is the most common type of walker, and it is available in heavy duty (bariatric) and junior styles. These are best used on indoor surfaces. 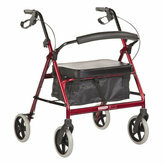 Basic walkers provide the most stability for those who need a little extra help. 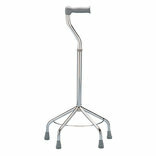 A crutch becomes necessary when a person cannot walk or walks with extreme difficulty. 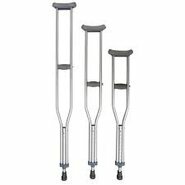 Any person with leg or foot pain or injury, weak muscles, or an unstable gait may benefit from using a crutch or crutches. Regaining upright body movement aids circulation, assists kidney and lung functions, and helps prevent calcium loss from your bones. 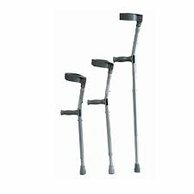 Crutches shift the force of upright movement from your legs to your upper body. You must have sufficient arm strength, balance, and coordination to use them effectively. 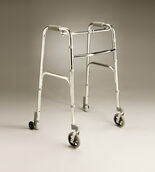 Walkers provide the maximum stability. However, if you're looking for something to provide minimal help, a cane or walking stick might be the solution. Canes improve your ability to get up from a chair or can help with your balance. 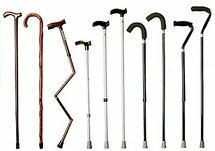 There are a variety of canes to choose from, with the difference being the handle type and whether the cane is a folding one. Handle choice is dependent on the style and which would be most comfortable; the new gel-grip handle is a popular option. 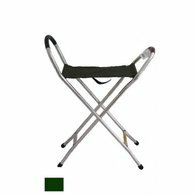 Folding canes are worth considering for traveling and storage ease. 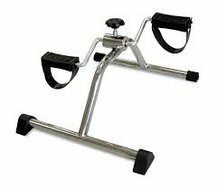 The muscles worked with a pedal exerciser are similar to those worked when using a recumbent bike. A regular pedaling or cycling workout can help to improve the strength of your legs and is beneficial to use for rehabilitation of certain leg injuries.